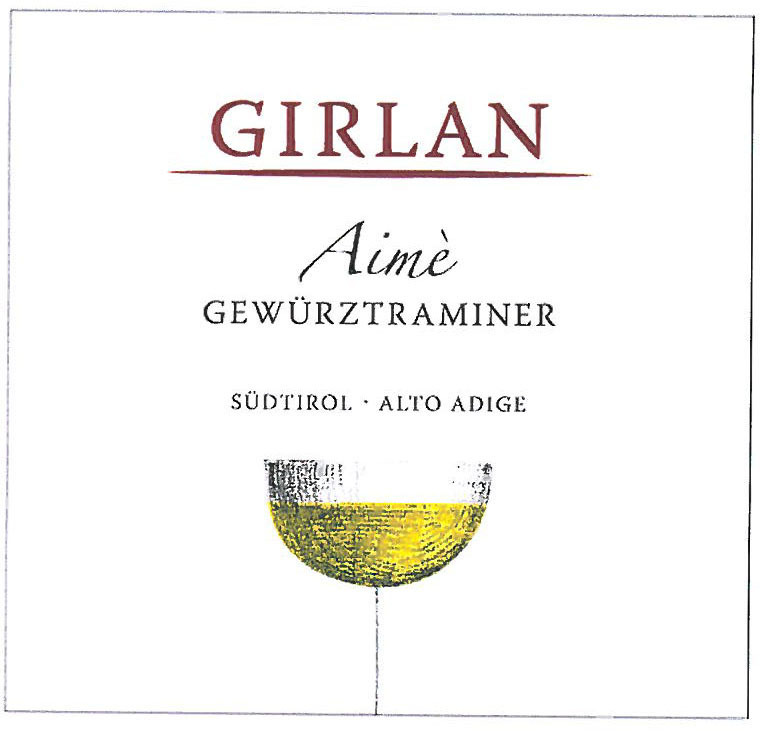 This grape varietal is named after the winemaking village of Tramin (Alto Adige). The grapes are slightly red. 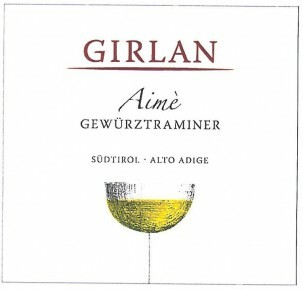 Girlan’s Gewürztraminer grows near Egna and Montagna in the area called Bassa Altesina, where conditions are optimum. The light and warm soils, the sunny slightly inclined slopes, are beautifully expressed in the glass. Gewurztraminer Aime’ is golden yellow in color. It has an intense, aromatic bouquet and a full-bodied palate that demand flavorful dishes. It is recommended with shellfish, flavoured cheeses and desserts, such as apple strudel or pie. It is also a good match to spicy dishes and sweet and sour creations typical of Asian cuisine. Grapes are harvested by hand at peak of ripeness and placed in small containers to prevent excess pressure on the grapes. Gentle whole cluster pressing and clarification of the must by natural sedimentation. Fermentation in stainless steel tanks at a controlled temperature.